It prefers high mountains, and has been seen as high as 11,000 feet. 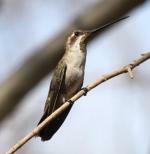 The Calliope Hummingbird is the smallest breeding bird in North America and the smallest long-distance avian migrant in the world. This bird was named after the Greek muse Calliope. The latin name Stellula means "little star," given for the male's streaked purple-redgorget over a white background. 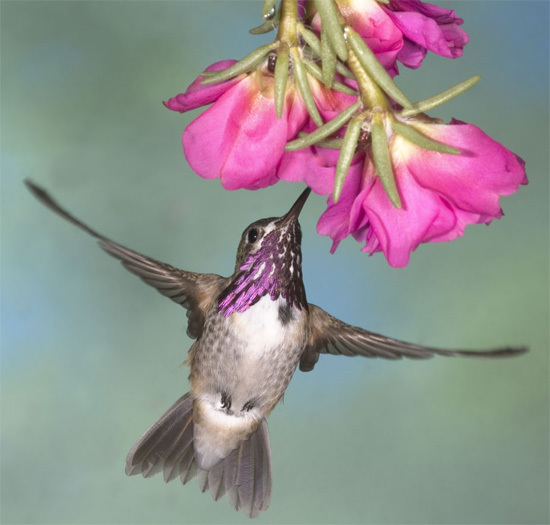 A group of hummingbirds has many collective nouns, including a “bouquet", "glittering", "hover", "shimmer", and "tune” of hummingbirds.